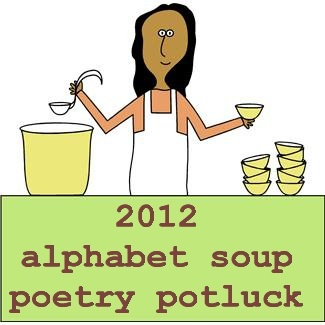 #4 in the Poetry Potluck Series, celebrating National Poetry Month 2012. It only happens once in a great while. You read something that totally takes the top of your head off and leaves you breathless with its brilliance. This was my experience when I read Helen Frost’s latest novel-in-verse, Hidden (FSG, 2011), which along with her other award winning books (Crossing Stones, Keesha’s House, Diamond Willow), sets the gold standard for excellence in this genre. I wholly agree with Anita Silvey, who said in her Hidden review at The Children’s Book-a-Day Almanac: “For my taste, Helen Frost has emerged as our greatest living craftsperson of verse novels.” Helen’s books have received many prestigious awards, including a Printz Honor and four Lee Bennett Hopkins Awards or honors for Children’s Poetry, the most recent of which is a 2012 Lee Bennett Hopkins Honor for Hidden. I’m beyond thrilled that Helen agreed to join us for the Potluck this year. She’s sharing a previously unpublished poem where oatmeal bread saves the day, along with the recipe and wonderful photos representing four generations in her family who have baked the bread. Could there be a more delicious legacy? came through the dark to eat. Copyright © 2012 Helen Frost. All rights reserved. Helen: A friend referred to this as “your oatmeal bread poem,” and it took me a minute to realize she was talking about this recent poem, rather than an older one that also features oatmeal bread. It’s my grandmother’s recipe, and is a comfort to me to make and eat. The bread on the cutting board was made by my son, at least the fourth generation to make and enjoy this bread. And I’m pretty sure my grandmother learned the recipe from someone in an earlier generation. The recipe was probably written down by someone watching Grandma Viney in her kitchen — she didn’t usually write her recipes down. I’ve had it in my file for many years, and as you can see by the stains on the card, I’ve made it often. 1 yeast cake, or packet, in 1/4 cup warm water. 2 cups boiling water and beat well. Let cool. Yeast and 5 cups flour. Let rise twice — 1/2 hour on second rise. Knead it, let it rise, punch it down and put it in 2 pans. Let it rise again to twice the size. Bake at 400 degrees for about 40 minutes. Helen Frost is a poet and teacher whose books include six novels-in-poems for children and young adults (all Frances Foster Books/FSG/Macmillan), two collections of poetry for adults, and two picture books for younger readers. Her first novel, Keesha’s House, won a Printz honor, and four of her books have received Lee Bennett Hopkins Awards or honors for Children’s Poetry. She received a 2009-2010 National Endowment for the Arts fellowship in poetry. Her most recent books are Step Gently Out, a picture book collaboration with photographer Rick Lieder, Hidden, a novel-in-poems that has been especially well-received by readers age 12-16, and Crossing Stones, for slightly older readers. She lives in Fort Wayne, Indiana, and can be found on the web at: www.helenfrost.net . Previously: Menu/Giveaway/Door Prizes, April Pulley Sayre, Mary Quattlebaum. ♥ Helen’s book, Hidden, is one of this week’s door prizes along with BookSpeak by Laura Purdie Salas. Comment on any of this week’s posts to be eligible to win! < Previous mary quattlebaum shivers ye timbers! Oh dear Jama, Helen Frost is also one of my favorite novelists. I’ve read and reviewed Hidden (when we had our novel-in-verse theme). I also enjoyed Crossing Stones greatly, and it’s a book that also fits our current theme (girl power) – I should borrow it again from our library soon so I could include it in our list of reviews. Love your taste in novelists, Myra! I must go read your review of Hidden. Helen was so generous about sharing family photos. Grandma Viney is beautiful, isn’t she? And I’m kind of envious that she came from a big family — always somebody to play with. What a treat you have for us today! I am *flying* to the library this morning to get Helen’s latest books. I’ve missed “Hidden,” somehow. And I want to re-read “Diamond Willow.” Her photos, the bread, the poem, her generous self–all just made my day. I got up in one mood (not very good), but feel much better now. The power of Jama’s Poetry Potluck! I knew you would appreciate those old photos, and I’m glad this post made you feel better. Plan to clear your schedule before starting to read Hidden. You will not be able to stop until the very end. I haven’t read anything that quietly compelling in a long time. Oh yes, you must try it, Jeannine. I hope this isn’t sacrilege, but what about a dough hook? Or perhaps there’s an illustrator type in your kitchen with strong hands who could help with the kneading :). It’s pure pleasure to read something new about an author I’ve enjoyed. I still haven’t read hidden, but have loved Keesha’s House. The photos enhance the story, too, although I can only imagine the smell of that bread. Thank you Jama for bringing us Helen with a beautiful poem and a good story! We’re all imagining the smell of that bread! Nothing like it, is there? As I told Candice, be prepared to read Hidden in one fell swoop. There’s no stopping with that book. I adored Crossing Stones; must read Hidden. I’ve been buying oatmeal raisin bread from the local bakery, but this recipe inspires me. I love the broken bread offering in the poem. And those piercing old photos. This is beautiful, Jama! I so admire Helen Frost’s work and loved seeing the family photos and witnessing the legacy of the oatmeal bread. There’s nothing like recipes with a solid history and I loved seeing all of Helen’s family members who’ve made the bread . . . and to realize that even more generations will continue to make this bread in the future. It’s like a door has opened on a whole new universe now that I’m taking an interest in poetry! Thank you introducing me to Helen Frost! I must look up her books! Loved her poem! I need to print it up so I can reread it often! Thanks, Jama! Thanks, Helen! Oh, Debbi, you’re in for such a treat. I know you’ll love Helen’s books. Her craftsmanship is just exquisite. Yum! Yum! Looking forward to the bread and the books which I am getting from the library. Great post Jama. Love the pictures. I know you like to try new recipes, Patty, so let us know how the bread turns out if you make it soon. Enjoy Helen’s books! What a wonderful community of readers you have gathered here, Jama. Thanks, everyone, for these warm comments. It’s very much like the smell of the oatmeal bread. Thank YOU, Helen. You’ve made a lot of people happy today :). Aw…now I have to make oatmeal bread! Brilliant!! Thank you, Jama and Helen, for such a wonderful post! HIDDEN is on my list – loved DIAMOND WILLOW and agree Helen is one of our most exquisite writers. What a treat to see these photos, and the orginal recipe card. Really love the offering-to-the-wild idea after harsh human words in “Awake” – thank you for sharing. Glad you enjoyed the post, Robyn. Pretty cool that the diamond willow lamp is in that photo, too. Helen is also the baker of extraordinary words. This post was great on so many levels. A poem, a story, a recipe, and family pictures…what could be better? (How amazing is that picture of grandmother at age 10!?) LOVED IT! It is an amazing and gorgeous picture, isn’t it? Glad you enjoyed the post, Cathy! She’s turning eighty-something on April 18th, and I’m going to give her a copy of this post! Oh my, yes, very particular bread baker. Her high standards must mean she turns out some amazing bread! I’d be willing to taste her rejects :). Helen is an even better sister than poet – and that is not diminishing her verse! Right on! Love, love, love not only the poem but the pictures as well. Frost power!!!!!! !